Headlines is one of a handful of businesses that have survived the test of time in Downtown Silver Spring. Headlines started out as a small hair shop in 1976. The Shop first occupied a space on the first floor of an old office building on Roeder Road next to the Villa Rosa Restaurant. Neither the Villa Rosa or the office building are there now – These places were razed for a huge parking lot. I have been going to Headlines since their days in that Roeder Road Office Building. They have gotten much much better with age. Headlines is a great, fun place to get your hair done. It can be a relaxing experience. Diana Everline (the owner) is my hairdresser. Headlines is a real independent local family business. Jim, (Diana’s Ex-husband) runs the administration accounting side of the business and fills in on the phones and at the front desk sometimes. Jessica (Diana and Jim’s Daughter) is an excellent hair dresser in her own right and has a large following of clients. 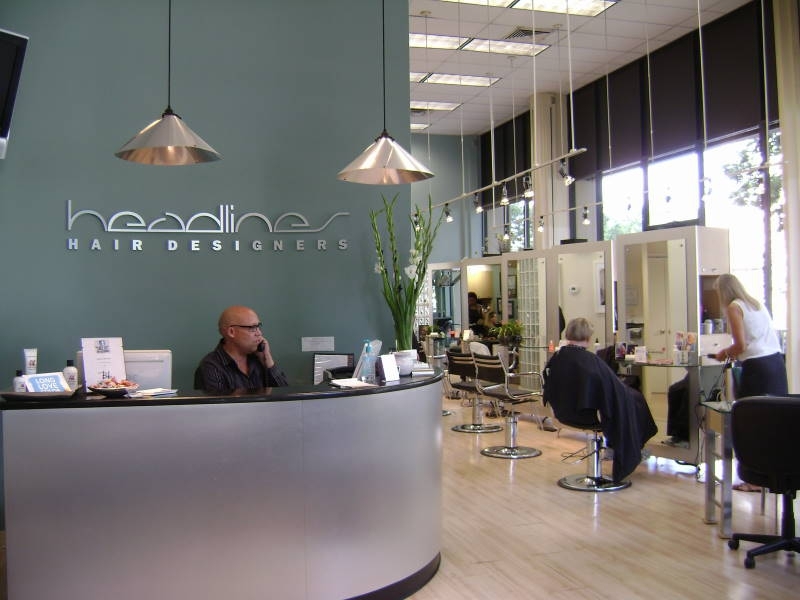 Any hairdresser at Headlines is GOOD – They are all well trained and keep up with all the lastest trends. You can see certificates on the wall from various prestigious hair salon training courses, such as Vidal Sasson. While waiting for Diana to cut my hair today, I learned that the lady who had just finished having her hair done by Diana had driven up from South Carolina to have her hair cut! She had lived in Silver Spring many years ago and had been coming to Headlines even after she moved to New York and still comes after her last move to South Carolina. I can’t think of a better compliment or testimonial for this great salon! This entry was posted on Friday, September 14th, 2012 at 11:34 am	and is filed under Silver Spring Businesses. You can follow any responses to this entry through the RSS 2.0 feed. You can leave a response, or trackback from your own site.